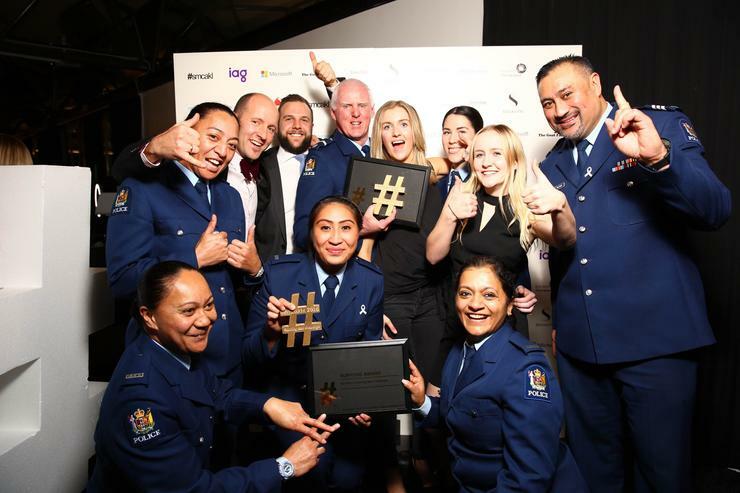 The New Zealand Police took out the supreme award in the 2016 New Zealand Social Media Awards #SMCAKLs for its “Running Man Challenge” video. The judges noted how the post was “an absolute viral sensation”, generating over 30 million views, and inspiring remakes from around the world including New York, Scotland, Miami, Hollywood, San Diego, Finland and Australia. The awards celebrate the very best of social media in the country and this year’s finalists set the bar higher than ever, says judge coordinator Ken Freer, marketing director at House of Travel. The following winners were announced at a cocktail event hosted by #smcakl (Social Media Club Auckland) events. With a campaign so successful that a Facebook page became an overnight success and reached over 201 million people at zero cost. With a campaign that ensured a huge commercial success and a spike in emotional connection between a brand and their customer. For a campaign that hit over a 100,000 highly targeted social impressions and a newly formed community of young people pledging to flick a bad habit. For using Snapchat as real superstars and inspiring over 10,000 user generated content pieces during live event. For creating a great resource that now gets 3,000 users a month organically. Finalists and winners were decided by an independent panel of judges, including Freer, Simone McCallum, senior digital content and social media manager at ‎ASB Bank; Sara Phillips, social media marketing manager at ANZ Bank; and Tom Bates, social influence director at Contagion.